Multiple sclerosis can be caused by a single genetic mutation, leading to hopes that screening could help prevent thousands of cases. Around 100,000 people in Britain suffer from MS, an autoimmune disease in which the body attacks the protective coating on nerve cells in the brain and spinal cord, stopping them communicating properly and leading to inflammation, pain, disability and in severe cases early death. Although it was unknown what causes the condition, scientists at the University of British Columbia found that two thirds of people with a mutation to the NR1H3 gene will develop the illness. Recent research has shown that increasing levels of Vitamin D can help prevent the debilitating illness, so screening for the mutation could show which people need to up their intake of the sunshine vitamin to stay healthy. Those people with the mutation also have a more aggressive form of the disease so catching them early is crucial. The gene is known to produce a protein which acts as a switch for other genes which regulate inflammation and help repair damage to nerve coatings. The mutation was found in two Canadian families that had several members diagnosed with a rapidly progressive type of MS, in which a person's symptoms steadily worsen and for which there is no effective treatment. Researchers say the discovery erases any doubts that at least some forms of MS are inherited and suggest that people with a history of MS in the family should be checked long before symptoms appear. 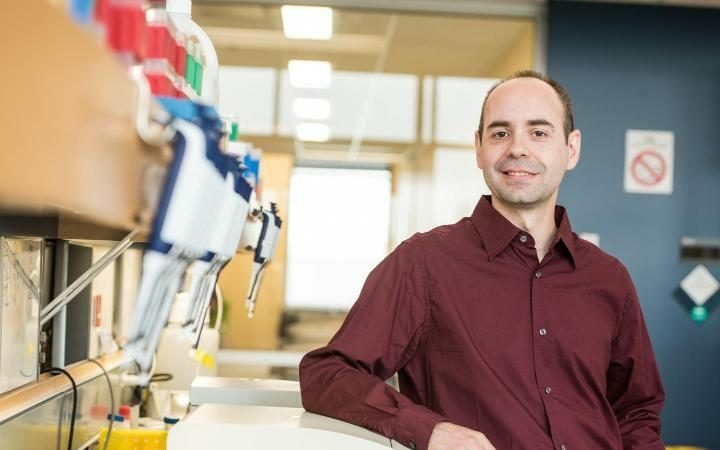 "If you have this gene, chances are you will develop MS and rapidly deteriorate," said co-author Dr Anthony Traboulsee, the MS Society of Canada Research Chair at UBC. "This could give us a critical early window of opportunity to throw everything at the disease, to try to stop it or slow it. Until now, we didn't have much basis for doing that." The findings, published in the journal Neuron, could also help in the search for therapies that act upon the gene itself or counteract the mutation's disease-causing effects.